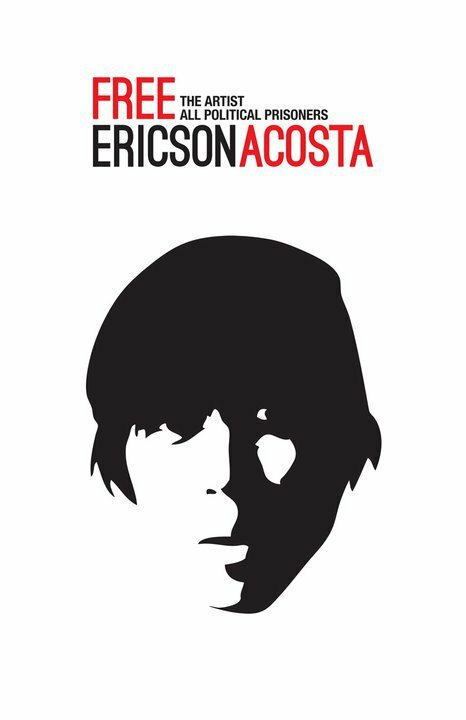 I did not particularly like Ericson back during our days in the Philippine Collegian. He always struck me then as some kind of mad man. Sometimes when he spoke he adopted accents: American, British, Chinese. Like a bird on speed he sang at the top of his voice during unexpected moments. On some mornings during weekend presswork, he could be found sitting at the conference table, his head cradled in one hand while his other held a burning cigarette. More often or not he’d be hung over, and, inevitably hungry. He’d try to wheedle/jokingly threaten younger staff members including myself into shelling out money (as a “loan”) to so he could go downstairs to the University Food Service cafeteria and buy a meal. Then afterwards he’d come back up to the office and he’d have a plate with him — one of the food service bone-white, heavy ceramic plates: he said he ‘merely “borrowed” it and will return it soon enough. The plate already had at least a dozen siblings in the pantry, but to be fair some of them got there courtesy of some other felon. I could write hundreds of lines devoted to Ericson’s antics. About how he once took one of Amy’s sleeveless blouses and wore it with a pair of skimpy maong shorts which I don’t know where the hell he found. Then he went traipsing around the Collegian office like some kind of demented geisha with a plastic umbrella held afloat, an angry Amy at his heels demanding that he take off the blouse or die. Then there’s the horror of sleeping on the mat next to the one that Ericson would eventually collapse on after an evening of downing beers at Sarah’s or Gulod: the unfortunate staffer would wake up and find himself or herself lying alarmingly close to a small pool of vomit, and it’s owner indifferent and dead to the world. But I’ll reserve stories like those for when I’m with other friends who are equally awed and incensed by and fond of Ericson. I never got to ask, but I don’t know how the heck he managed to get his hands on my essay about joining the League of Filipino Students (LFS) and the strangeness of discovering my country for the first time as it really was. I wrote the essay for my creative writing class under Prof. Cristina Pantoja-Hidalgo; it was mostly a personal piece because it was class on autobiographical writing. I must have left a copy on one of the computers and Ericson saw and read it. I didn’t know that it was going to be included in F1, the Literary Folio (also known as the FliterFlary to some of us) he edited until it came out and I held a copy in my hand. Ericson, hindi ka nagpaalam na gagamitin mo yun. It was a personal essay, not meant for other eyes but Prof. Jing’s and having other people read it made me feel embarrassed, did you know? But I understand why you did it. Hmm, now that I think about it, he also took a short story I wrote for Prof. Butch Dalisay’s Fiction II class and printed it in the Collegian, in the Kultura pages ( I was from the Features section or Feats). The story was about a unit of the New People’s Army (NPA) and how they were saved by a family of ghosts: they were farmers killed by the Armed Forces of the Philippines (AFP) and they gave the NPA unit shelter in their ghost bahay kubo. Maybe he found it a bit funny, a somewhat political ghost story! But I’m rambling. I have other memories of Ericson where he showed me kindness, where he displayed sensitivity for my feelings. It had to do with my being the girlfriend of the person who placed second in the editorial exams for the Collegian but cried foul, said there was cheating (there wasn’t) and insisted that he was the rightful editor-in-chief (he wasn’t, he really wasn’t.) In any case, it was a terrible time and everyone else looked at me with accusing eyes but Ericson, well, he didn’t even tell me (like the others did) to break up with the guy and good riddance. Ericson talked to me in a quiet voice, and he asked if I knew what I was doing, if I was sure, and if I was, I should at least consider what the implications were on the campaign for the truth on who really placed first in the ed exams. It’s a complicated story and I earned a lot of grief from it, but my point is, Ericson was not self-righteous, he didn’t lecture me, and he was for all intents and purposes, a friend. Fastforward to his work as poet, a cultural worker, an activist. He organized and headed Alay Sining, lead the establishment of Stand UP, wrote, directed and performed in a play about Andres Bonifacio he titled “Monumento.” His poems were transformed into songs and a decade later students still sing them as they played on guitars in picketlines, during student-led rallies, cultural activities. When he decided to go to the regions, he left many comforts behind but he was firm in his belief that he would be better off serving the poor in the provinces. Through the years I only saw Ericson occasionally. His work kept him in the provinces, writing and doing research for farmers organizations and helping organize cultural groups among the peasants. Sometimes he came home and we’d see each other with a few other friends and he’d give me copies of publications he helped put together, show poems he’d written, artwork. He was thinner than I would’ve liked, but he always said that he was happy and that his work was the best kind in the world nevermind that it paid zero. “Imagine doing the work you love everyday for the rest of your life. You don’t even miss money,” he said. Before the first time left for the regions, I saw his and Kerima’s baby a few days after he was born. K looked a little worried about her new role, but Ericson exuded pride. We all sat there in their room full of books and paintings he made when he was younger and Ericson was a new father. Now he’s a father away from his only child, his son. Away from his wife, away from his parents, away from friends and former colleagues who all have fond memories of him. Everyone worries for his safety, and hopes for his immediate release from detention. Happy birthday, Ericson. Crossing my fingers and toes that your freedom comes soon and we can all hear you sing, do monologues, sing, recite poems, sing and be your happy, hopeful and amazing self again. Ginalyn Ortiz is only 17 years old but she’s already a mother. She was only able to attend school until the third grade, and from the time she was 14, worked as a live-in housemaid in Galas, Quezon City. She met her partner, Robert Yu,29, at her former employer’s house where he also worked as a houseboy. When they realized that she was pregnant, they immediately went home to Pitogo, Quezon where Ginalyn’s father and twin sister still lived. Robert originally hailed from Atimonan, also in Quezon. He was accepted into Ginalyn’s family and planned to get married as soon as they had enough money to do so. Baby Airish Ortiz Uy has meningocele and has a growth next to her small head that's much bigger in circumference. It grows at an alarmingly fast rate as Airish also develops. Her parents Ginalyn and Robert are at a loss as to where they will get funds for Airish' medical needs. Then Ginalyn gave birth. She named her daughter “Airish Robelyn,” and the baby is now six months. Most five-month old babies can already lift their heads or to roll over from their backs on to their stomachs; six month olds like to wriggle around the bed and enjoy flipping themselves over like pancakes being turned in a pan. Airish, however, can do none of these things. She can only lie on her back and gurgle her happiness or discomfort from the same position all day, all night. Ginalyn can benefit greatly from a reproductive health law. The RH Bill provides for for more than just family planning and making artificial contraceptive methods available to the poor. The proposal aims for making prenatal and maternal healthcare more accessible, as well as giving the youth necessary information on reproductive health and safety. Airish has meningocele, meaning she has a growth next to her small head that’s much bigger in circumference, and it grows at an alarmingly fast rate as Airish also develops. According to online medical websites, meningocele is a form of spina bifida, which in turn refers to any birth defect involving incomplete closure of the spine. It is a congenital malformation, an error in the development of the central nervous system and particularly affects the spinal cord and spine. As descriptions go, a child with meningocele has an an out-pouching of the coverings of the spinal cord that results in a defect in the bone and soft-tissue coverings of the back part of the spine. This pouch, or sac, is filled with cerebrospinal fluid can lead to a bulging mass on the back. The malformation does not include any malformation of the spinal cord itself or any of the spinal nerves. In Airish’s case, the sac is connected directly to her head, resting against her skull and the top of her spine. Ginalyn said that the entire time she was pregnant with Airish, she not once went to a doctor. Their house in Pitogo is a three kilometer-walk from the main highway, and even then there’s no nearby hospital, only a clinic. She was only checked by a midwife, one employed by the Department of Health who went around villages and towns in the provinces trying to deliver healthcare to the impoverished residents. “The midwife came every month from the time I was two months pregnant. We had no money to go to Gumaca or Lucena to consult a doctor, so we were already grateful for the midwfe’s visits,” Ginalyn said. According to Ginalyn, the midwife only told her to drink ferrous sulfate tablets but did not recommend vitamins. Neither did the midwife give her any advice to stop lifting heavy objects, get proper rest and nutrition. Ginalyn did not benefit from ultrasound check-ups, or receive information on how pregnant women should always take calcium and folate tablets or capsules to help strengthen her body and to help in the development of her yet-unborn baby. In the meantime, because of poverty, she was also unable to eat the kind of food that obstetrician-gynecologists usually order pregnant women to eat and make sure that she ate the proper amounts. According to local health standards, the following should be done during a prenatal check-up are: (1) weight check; (2) height check; (3) blood pressure check (4) urine examination ; (5) blood sample examination ; (6) consultation about pregnancy complications; (7) instruction and preparations as to where to go for pregnancy complications; (8) tetanus toxoid injection; and (9) ensure iron supplementation and intake of prenatal vitamins. Ginalyn can only remember having her blood pressure checked and that it was always low. The midwive did not tell her to do anything about the low BP much less to take anything to regulate and normalize it. As for to other prenatal check up necessities, there were none. “The midwife just told me to take the little red iron tablets. It was good that the tablets were cheap,” she said. When Ginalyn reached her fifth month, the midwife felt her stomach and said that Ginalyn might be having twins. “She told me that she felt two heads, but she couldn’t feel the body of the other baby. I was worried at first because even then my stomach felt uncomfortably heavy like the baby inside was going to come out anytime soon. The midwife didn’t raise any alarm afterwards, so we thought that nothing was really wrong,” she said. The entire time that she carried Airish, Ginalyn also worked as a laundrywoman. She lifted heavy pails of water and bundles of clothes. Robert in the meantime worked as a farmhand for a small agricultural company that grew ampalaya (bitter gourd), eggplants and tomatoes. For his labor he earned P200 a day. 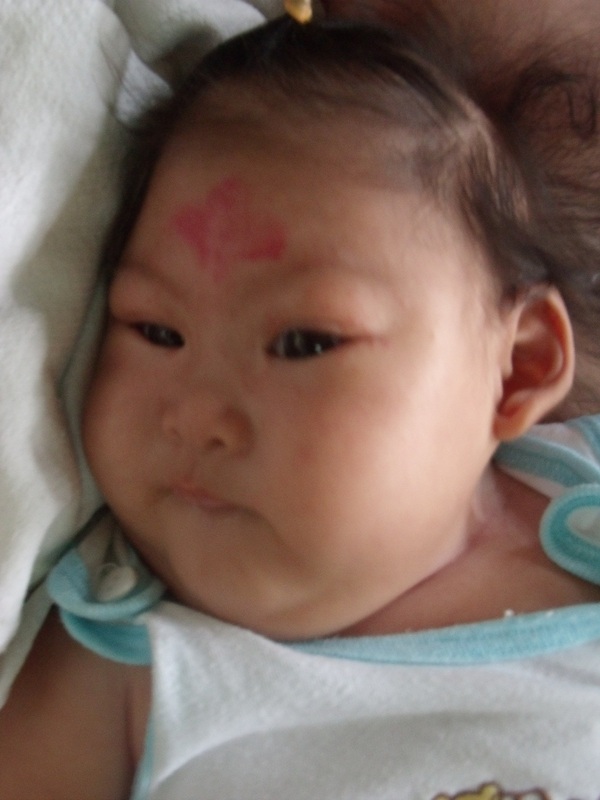 When Airish was finally born on November 27, 2010, she weighed a healthy 3.5 kilos. Her skin was a creamy white and she had a head full of coal-black hair. She had her mother’s slightly chinky eyes and her father’s thin lips. Her parents thought she was perfect, but there was a sac filled with fluid connected to her skull and spine. What makes Airish’s condition tragic is that it could very well have been avoided. Online medical sites refer to various research studies saying that insufficient intake of folic acid – a common B vitamin – in the mother’s diet is a key factor in causing spina bifida and other neural tube defects. Prenatal vitamins that are prescribed for the pregnant mother typically contain folic acid as well as other vitamins. For the most part, the medical sites say that meningocele is unknown. They go on to say that low levels of folic acid in a woman’s body before and during early pregnancy is thought to play a part in this type of birth defect. The vitamin folic acid (or folate) is important for brain and spinal cord development. Prenatal screening is also said to be valuable in diagnosing neural disorders like Airish’s. During the second trimester, pregnant women can have a blood test called the quadruple screen. This test screens for myelomeningocele, Down syndrome, and other congenital diseases in the baby. Most women carrying a baby with spina bifida will have a higher-than-normal levels of a protein called maternal alpha fetoprotein (AFP). Told this information, Ginalyn could only shake her head. She was pregnant at 16 years old and had never had access to medical services even in her early youth. She underwent the period of her pregnancy merely hoping for the best and relying mainly on the advise of family and the midwife who visited every month. She even gave birth at home, with the midwife delivering Airish. Airish, in the meantime, previous to being brought to Muntinlupa, had never been checked by a pediatrician. Now almost six months old, Airish now lives temporarily in a small apartment rented by Ginalyn’s cousin Irene Cruzat in Muntinlupa. Irene is currently unemployed and has a three year old daughter. Her own partner works as a pedicab driver. Despite having very small means of survival herself, Irene is determined to help her cousin and her baby. “I look at the baby and it breaks my heart that she has to suffer such a burden at so young an age. Anyone can see that she’s beautiful. I want so much to help her,” Irene said. Irene took Ginalyn and Airish to the GMA-7 television station main office in Quezon City, and secured the assistance of the Kapwa Ko, Mahal Ko Foundation. The foundation promised to shoulder the costs of Airish’s check ups at the Philippine Children’s Medical Center (PCMC) as well as the operation Airish needs to have the sac removed. This was in March, and from then on they had been going to the PCMC regularly, initially every two days, then eventually it became every week. “We spend at least P500 in transportation fares with every visit to the PCMC. A one way trip from Muntinlupa costs P68 for each of us, so imagine how much we spent for fare alone every time, ” said Irene. Robert explains that he wants to find a job but as yet cannot focus on employment hunting because he wants to help Ginalyn and Airish whenever they go to the doctor. “Sometimes I feel desparate thinking about my baby and where I’m going to get the money for her medical needs. 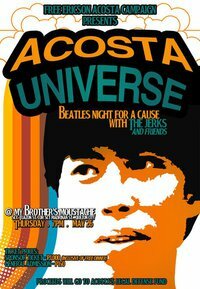 The doctors told us that the operation will cost at least P100,000, so we’re thankful that the foundation is helping us. The medical expenses after the operation are a completely different thing. We don’t know who else to turn to,” said Robert. As Ginalyn and Robert struggle from one day to the next to keep Airish alive, the debate about the Reproductive Health bill (RH Bill) continues to rage not only within the halls of the House of Representatives and outside in the public arena. Many critics of the RH bill neglect to acknowledge how the proposal provides for more than just family planning and making artificial contraceptive methods available to the poor. They stand against the RH Bill without acknowledging its other provisions, such as those that provide for people’s right to reproductive health care information. In a nutshell, the section of the bill lay down the government’s responsibility to the Filipino people to provide them with information about the availability of reproductive health care services, including family planning, and prenatal care. The DOH and government information agencies are being tasked to sustain a heightened nationwide multi-media campaign to raise the level of public awareness of the protection and promotion of reproductive health and rights. There’s also a provision stating that each province and city, with the assistance of the DOH, must establish or upgrade hospitals with adequate and qualified personnel, equipment and supplies to be able to provide emergency obstetric and neonatal care. For every 500,000 population, there shall be at least one (1) hospital with comprehensive emergency obstetric and neonatal care and four (4) hospitals or other health facilities with basic emergency obstetric and neonatal care. Those living in isolated and depressed areas will also be provided the same level of access. In the meantime, there’s also a provision on age-appropriate reproductive health and sexuality education. This proposed curriculum is aimed to be taught by from grade five up to the fourth year level of high school.The curriculum will be common to both public and private schools, out of school youth, and enrollees in the Alternative Learning System (ALS) based on, but not limited to, the psychosocial and the physical wellbeing, the demography and reproductive health, and the legal aspects of reproductive health. The topics will include knowledge and skills in self protection against discrimination, sexual violence and abuse, and teen pregnancy; physical, social and emotional changes in adolescents; children’s and women’s rights; fertility awareness; family planning methods; and responsible parenthood. As things currently stand, the standard of prenatal and maternal health care in the country remains very dismal. Its necessity is widely accepted, yes; but because of the extreme poverty of most Filipinos, a large majority of pregnant women do not have access to quality prenatal care. In an August2010 study titled Who Provides Good Quality Prenatal Care in the Philippines, (Rouselle F. Lavado, Leizel P. LagradaValerie Gilbert T. Ulep, and Lester M. TanWomen) , it was stated that women who are older, poorer and with lower educational attainment received poorer quality of prenatal care compared to women who are younger, richer and better educated. Multiparous women are also said to receive poorer quality of prenatal care. Morbidity and mortality related to pregnancy according to the study are still high. Infant and maternal mortalities are still major problems, where 26 infants in every 1000 live births die and 162 women per 100,000 die due to childbirth. These put the Philippines’ IMR still above its Millennium Development Goal target of 19/1000 live births and its MMR way above the target of 52/100,000 live births in 2015 (NSCB, 2010). Airish has many challenges ahead of her, and her own mother — herself still a minor — needs to learn so many things to be able to take of her baby. Even if poverty is factored out, the lack of valuable information and immediate access to it makes the battle for Airish’s life and survival an uphill one. Proponents of the RH Bill say that while the proposal will not put an immediate end to infant and maternal deaths (much has to be done to rework the national government’s fiscal priorities where allocations for public health services and education remain pegged to the floor compared to high appropriations for foreign debt servicing and military spending), babies can at least have a fighting chance of being taken care off even while still in their mothers’ wombs. If only her mother knew to take a P6.00 tablet of folic acid or folate per day, Airish could have been spared from having meningocele. This salutation is from the Hunger Games, the first of three books by Suzanne Collins about a young girl, Katniss Everdeen who lives Panem, an imagined country/world where Northern America used to be. Katniss and the rest of the children of Panem are forced to be pawns in the Hunger Games, an infamous competition to the death set by the Capitol, Panem’s seat of government. All children aged 12 to 18, risk becoming contestants or Tributes in the Hunger Names — their names are raffled off as soon as they reach the age of 12, and every District has to send two Tributes, one boy, one girl. In the Hunger Games, there can only be one winner. All 23 other Tributes must die so there can only be one Victor: the girl or boy who managed to escape being killed by the others; a boy or a girl who also had to kill to survive. The prize? The Victor lives, and is rewarded food. His or her District also benefits, as the Capitol gives food packages to every family in the District which the Victor represents. The Hunger Games are also televised, in much the same reality shows are, but none of the brutality is edited out. If anything, the Gamekeepers, the Capitol’s organizers of the Game, manipulate circumstances that ever force them to defend themselves, to kill. The young Tributes to ignore any and all ideas they might have had of justice, of fairness, of their individual, unique humanity is so they can provide the Capitol grisly, bloody entertainment. The people of the Districts are required to watch the Games on pain of being arrested and even killed. It’s a violent novel, and so are the two novels that follow it, Catching Fire and Mockingjay. Collin’s books are supposedly meant for the Young Adult audience, but the message in them, the themes carried are for more “mature” (not necessarily older) individuals. The books carry the themes of war and survival; brutality and compassion; loyalty and betrayal. They speak about the human condition and the impossibility of happiness under a system of oppression. They describe how power corrupts and easy it is for the powerful to rid themselves of compassion and humanity just so they can remain so. The necessity of justice is also an important theme that runs through the books. One may be able to get through the harshness of poverty through sheer resourcefulness and determination to keep one’s self and one’s family fed; but there is no way to ignore or be indifferent to the cruelties that come with living in a society where injustice is prevalent. Through Katniss’ eyes, we see human monsters: government officials who cling to their positions by wielding iron fists that never hesitate to crush even the innocent: in the Hunger Games, even 12-year olds are forced to handle weapons — spears, knives, deeply personal instruments of killing that require determined, directed physical force and proximity between the target and the killer. Katniss, her mother and sister Prim live in the poorest District, District 12 where coal mining is the main livelihood. After the death of her father in a mining accident and her mother falls into deep depression, a 12-year old Katniss was forced to step up. She hones hunting skills her father taught her and becomes a highly capable hunter, a killing machine with a bow and arrow. She risks capture and punishment by the Capitol’s Peacekeepers, the policemen of Panem, by hunting in the forests and other areas closed off to the citizenry. Forests, lakes, mountain ranges, the resources of the earth and its waters are owned by the government: what is the government’s can never be enjoyed by the people. The people of Panem — excepting those who live in the Capitol– live on the government’s sufferance. As she begins her training as a Tribute in the 74th Hunger Games, Katniss moves from one discovery to another: all the Districts are forced to produce goods and services for the Capitol while their own people are kept in miserable poverty. Farmers toil in the fields from dawn to after dark; workers run the factories for almost no pay; and miners labor in the deep mine shafts where sometimes explosions or cave-ins occur and lives are easily lost and no bodies are found. Children are not children — that is, they are denied their childhood because the moment they are able to walk and are able to take instruction, they are immediately sent to work. Food is plentiful, but with no money to buy with it, people live half-starved. Diseases are treated with herbs despite the great advances in technology and science in the Capitol. Katniss begins to questions the inequality, the harshness of the social circumstances the poor people of District 1-12 are forced to confront on a daily basis when she witnesses for herself how those living in the Capitol live in comfort and luxury. Her anger and outrage grows over the indifference of those who have regarding the poverty and suffering of those who have not. ; but her fury is reserved for the government led by President Snow and its Hunger Games. The descriptions of how Katniss survives the Hunger Games are, again, very violent. It’s like watching the reality show “Survivor” except the contest is to the death. What is more violent than the confrontations between the Tributes is the unwritten, the unspoken:children coming to terms with the necessity of killing for no other reason than to save one’s self. At the same time the Tributes know that outside the Games’ arena, they also exist in a state of war: a war of daily existence where there is no food to be had; where to fall ill is to automatically have one foot in the grave because there is no money for medicine or for consultations with a health professional; where there are often no options for the poor but to either steal or starve or go insane from hunger and desperation. It is because of this that the Tributes, including Katniss, justify wanting to win: it will provide some escape from the war of hunger and want. There is an awareness that grows that it is much easier for one to accept the possibility of one’s own death than to admit the necessity of having to kill others, but kill they must. With every killing she makes, Katniss loses more and more of what was left of her innocence. Coming to terms with The second book, Catching Fire, deals with Katniss coming to terms with what she has experienced in the Hunger Games and its aftermath. She is forced to become a celebrity, but a celebrity that knows the falsehood of her fame and the hypocrisy of those who made her one. She makes a Tour of Victory in the Districts, forced to become an envoy of sorts of the Capitol, but what she sees and hears worsens the nightmares of her recent experience as a Tribute in the Games gradually pushes her to make a decision: will she hide or run from her new awareness of the evil that is the cruel and corrupt government and system, or will she stand and fight it? As Katniss comes to a decision, readers are also made to think about their own responses to problems and conflict, whether personal or outside their own immediate sphere of existence. The world as we know it is far from being a realm of goodness and peace, and in the last 50 years after World War II, worries of nuclear annihilation has not completely left the public’s consciousness. In the meantime, the international economic crisis caused by capitalism’s unstoppable self-destruction has resulted in chaos: millions of workers globally losing their jobs; once powerful business conglomerates including banks crashing and closing; homelessness and hunger are on the rise especially in the so-called First World countries. One cannot hide from these realities, and even the once politically indifferent and the socially apathetic have become aware that much is not right in the world. The question is whether one simply resigns oneself to these problems : from the endless traffic jams to the ‘deterioration of social services; to worsened corruption in government and human rights violations of the armed forces against the citizenry; or take action against them. Katniss takes action against the horrors of her own world. The third book, Mockingjay, sees the struggle against the Capitol erupt in full force. Her victory in the Hunger Games and how she succeded in defying the Capitol (albeit undeliberately) was witnessed by the whole population of Panem, and the people’s long festering anger can no longer be contained. The death toll rises as the war breaks out, and Katniss accepts her role as the Face of the rebellion. Those who have accepted that there is a need to speak out and act against injustice will take note of Katniss’ hesitation. Katniss had difficulty trusting leaders who declared themselves to be one with the people and against oppression, but did not participate directly in the fight for freedom. She feared against trusting those who never knew how it was to starve or be victimized, and never shared the pain of those who did. She was warry that those who lead the movement only seek power for themselves in a set-up similar to that established by those they want to bring down. By the end of the book, her decision and final act of defiance are cause for shock, but it also ellicits understanding and respect for her bravery. The last pages of Mockingjay reveals a Katniss with no more illusions, and it is primarily the fear that the Hunger Games and the government she helped bring down will return that keeps her awake at night. She has children of her own, and they play in a meadow that was only a decade before a massive graveyard of civilians killed in the war against the Capitol. She lives from day to day, afraid to hope, and but always in her heart prepared to once more fight against anything that threatens to bring back the system that created the Hunger Games. Katniss learns that injustice and the wars that erupt of because of it destroy more than structures or countries, but the innocence of children and any hope there can be of a future where war is only a memory. And a counter-war, a movement of opposition and liberation that does not keep at its heart the determination to never repeat what the oppressors have done will do nothing to help the cause of humanity for true peace. There are other characters in the Hunger Games books that influence Katniss and her decisions. For the most part Katniss has no true goals of her own apart from keeping her sister and mother safe and alive; but her friendship with two boys, Peeta Mellark and Gale Hawthorne help her decide the paths she will follow. The relationships she forms with other Tributes, primarily the little girl Rue from District 1, also make their mark on her life and is direction in the context of war. Peeta is the voice of compassionate reason. In the midst of conflict and even as his life is directly threatened, he firmly clings to keep his humanity. He struggles against any course of action that will compromise what he believes to be humane and just, even if will save his life. Gale, is also an idealist, but his ideals embrace retribution and revenge. He has Machiavellian instincts; and while he cannot be immediately blamed for it living as he did as an essential slave of the Capitol, the crucial decisions he makes in time of war serve to fuel continuing hatred instead of strengthening resolves to do justice. The Hunger Games is rife with metaphors for how governments of the powerful nations of the world today send the working people to their death by denying them their economic rights, by violating the rest of their human rights, and by systematically creating a climate of impunity wherein the armed forces maim and kill those who chose to voice their dissent. And at the end of everything, its always the children, the younger generations who suffer the most, and unless one takes a stand, the suffering never ends and the Hunger Games continue.